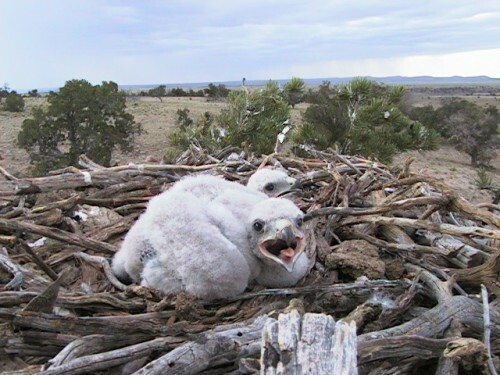 if you find a baby bird /Hawks Aloft Inc.
As spring progresses and the promise of summer takes shape in the form of longer, warmer days, a flurry of activity is taking place overhead. Birds are breeding and nesting, and soon, all the effort of courtship and nest building will come to fruition as a new generation hatches. 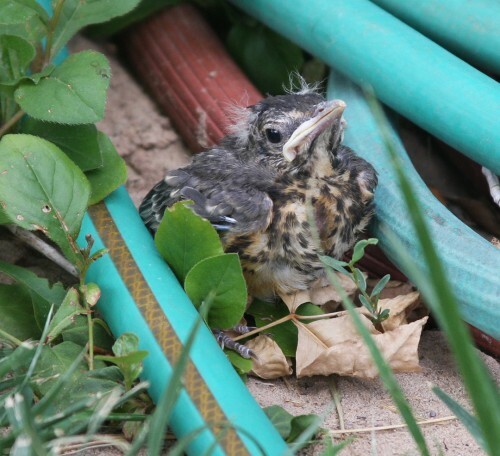 For outdoor enthusiasts and bird lovers—especially those who have taken the time to provide a habitat for local birds in their yards—it is not uncommon to find a young bird, seemingly helpless and marooned. Yet, weak and clumsy as they may seem, it is a rare occasion when these youngsters need our help. Frequently, young birds found on the ground are recent fledglings. This means they are just testing out their flight skills and it is not uncommon for them to end up grounded. If the bird appears to be mostly fully feathered, usually with short tail feathers, able to hop around and take short flights, it is likely a fledgling. If there is no looming danger to the young bird, leave it alone. Fledglings, while taking their first flights and gaining independence, are still in the care of their parents who are likely nearby. Keep pets inside and allow the bird to find its own way home. If this is an impossibility, perch the bird in a shrub or the boughs of a low tree. Occasionally a nestling may fall from, or be pushed from the nest before it is ready to fledge. If the bird is naked, or with very few feathers, it is safe to assume it is a nestling. If uninjured, take some time to try to spot the nest. If possible, simply place the nestling back in its home. The pervasive myth that if a young bird is handled by a human its parents will notice the scent and abandon the young is just that—a myth. If the nest can’t be located, you may engineer a small, makeshift nest from something like a berry basket or another small container with a few channels for drainage in the bottom. Line the container with soft materials and then secure it to a tree as near as possible to where the bird was found. There are some exceptions to these general rules, however. If you find a bird, any bird, that has been injured by a cat, call a local wildlife rehabilitator. Almost always, a bird that has been attacked by a cat will need antibiotics. At Hawks Aloft we have a 24-hour raptor rescue hotline for birds of prey, and Wildlife Rescue, Inc. is also an option for birds and other animals that need rehabilitation. In addition, if the young bird is quite evidently injured (i.e. bleeding, wings drooped unevenly) or if you are absolutely certain that the bird’s mother is dead, secure the youngster in a warm, dry, and dark space and contact a wildlife rehabilitator immediately. The impulse to help the animals we love is strong, but sometimes that care and concern isn’t in the best interest of those we seek to help. Often, the best thing we can do for the young birds we discover grounded is to resist the urge to intervene. 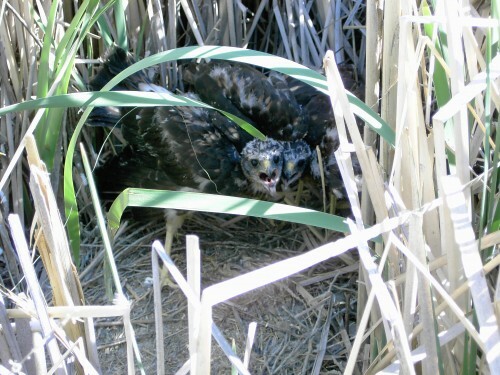 If you have any doubts or questions about the appropriate course of action if you’ve found a baby bird, don’t hesitate to contact Hawks Aloft or a another local wildlife rehabilitator.